Polaroid PoGo Camera and Mobile Printer: instant print, everywhere you are, anytime! People are still lamenting the passing of Polaroid Instant Film into history, but thanks to technology featured in its tiny Polaroid PoGo Instant Mobile Printer launched in 2008, the company is offering a new shoot-and-print option: the Polaroid CZA-05300B PoGo Instant Digital Camera . The camera, which has a certain retro boxiness to it, is pretty big in comparison to most point-and-shoots with its camera specs. The 7-megapixel camera/printer measures 4.7 inches wide by 3 inches high by 1.3 inches deep and weighs 10 ounces–without paper, battery, or SD card. Keep in mind though: the original instant-print cameras didn’t fit in a coat pocket, but this one does! There’s a 3-inch LCD on back and controls are simple; there’s even a 4X digital zoom that overcomes the lack of an optical zoom, due to space constraints. The Polaroid CZA-05300B PoGo Instant Digital Camera uses Polaroid’s Zink (zero ink) 2-by-3-inch paper. ZINK stands for Zero Ink - a new and simpler approach to printing where high quality, colorful, durable and affordable prints are magically created — all without a drop of ink. The ZINK Technology, invented by ZINK Imaging, encompasses both the ZINK Paper and the intelligence embedded in every ZINK-enabled device. Over 100 patents and patents pending were generated in the development of this breakthrough technology. The heart of this new “ZINK” category of printing is the ZINK Paper. The patented ZINK Paper is an advanced composite material with embedded yellow, magenta and cyan dye crystals, activated with 200 million heat pulses, in 30 seconds, in a single pass. With 100 billion crystals in a 2 x 3-inch print, the paper is 100-percent inkless. A ZINK-enabled printer uses heat to activate and colorize these crystals. Because there is no ink, every ZINK-enabled device has the unique benefits of being small, simple, elegant, and eco-friendly. Polaroid is leveraging the ZINK Technology to bring a new family of digital instant products to the marketplace. The Polaroid Digital Instant Mobile Photo Printer is the first ZINK-enabled device available. The LCD simply pops up, you insert a deck of 10 sheets, and you’re ready to go. Shoot something you want to print & share? Hit the Print button on back, pick the photo, and press OK. In less than a minute you have a print, it’s that simple! Get the Polaroid CZA-05300B PoGo Instant Digital Camera now! It’s available for US $239.99! If you just need a mobile printer that’s so easy to use and to carry around look no further than the Polaroid CZA-10011B PoGo Instant Mobile Printer ! The same technology of the PoGo Instant Digital Camera in an even smaller package! The Polaroid printer can do magic for your digital camera or camera phone, see how! With a Camera Phone: The Polaroid CZA-10011B PoGo Printer is the easiest way to print photos from a camera phone. Wirelessly transfer images from a Bluetooth-enabled camera phone to the Mobile Printer and print instantly. Using the built-in OBEX (object exchange profile) Bluetooth in the phone and the printer, connecting and printing becomes instant. With a Digital Camera: Instantly printing images from a digital camera is as easy as connecting the USB cable to the PictBridge-enabled camera and printer. Once connected, follow the PictBridge screen on the camera display. Simply select what image to send to the printer and within 60 seconds, the print is ready to be shared. The Polaroid CZA-10011B PoGo Printer is available now for just US $41.95 - so you can save up to 16%!). The Nokia N900 has evolved from Nokia’s previous generation of Internet Tablets and broadens the choice for technology enthusiasts who appreciate the ability to multitask and browse the internet like they would on their desktop computer. Running on the new Maemo 5 software, the Nokia N900 empowers users to have dozens of application windows open and running simultaneously while taking full advantage of the cellular features, touch screen and QWERTY keyboard. Designed for computer-grade performance in a compact size, Maemo complements Nokia’s other software platforms, such as Symbian, which powers Nokia’s smartphones. We’re all looking at October release date; right now the Nokia N900 is available for pre-order for US $ 588.99! OpenMoko have announced the Neo 1973, a sim-free, completely open source driven mobile phone running on a flavour of the Linux operating system. Although in its opening stages of development, the phone promises to spread open source to the mobile phone industry just as Linux brought freedom to Pc users: the base version of the NEO sells for $300, has a 2.8″ VGA touch screen, a micro SD card slot, a USB port and 2.5G GSM quad band capability. It shares a complete lack of buttons with Apple’s iPhone, with a touch screen that can be operated by both fingers and stylus. An improved, mass market model has been scheduled for October, to be sold at a $450 price point, adding wi-fi, 3-D motion sensors and graphics accelerators. It looks like revolutionary devices, not only smart phones but smarter phones, are finally making their way into the stagnant mobile phone market, offering plenty of new choices to the public. Enter the iPhone era: accessories for everyone! iPhone has just been announced but the hunt for accessories of the highly desirable iPod/phone/internet device hybrid has already begun! SourceCrowd.com is always striving to bring you the latest and greatest, so here are but a few add-on you should consider worthwhile if you already (lucky one!) own an iPhone! First of all, an accessory which should really be considered an essential: what’s better for such a cool and sleek device than a Wireless Bluetooth Headset for the Apple iPhone ? Of course, no data is still available about how much power-hungry the iPhone is in day to day use, but you’ll never run out of battery with stuff like the Powered Windshield Car / Auto Mount PDA Phone Holder for the Apple iPhone - Gomadic Brand , doubling as a charger and holder for your car (and proudly showing it!). So far the first press and web reviews have been positive, with small nags overpowered by the great advanced feature of the iPod/Phone hybrid that have wowed the public and professionals alike. The only thing stopping this device from being a market winner overnight seems to be the high price, which of course is justified by the advanced and new features like the multi touch technology display. We won’t bore you with tech specs, you can find all the info you want and more on Apple’s website. If you are lucky enough to be near an AT&T or Apple store tonight at 6pm, you might be in for a spectacle as people queue up to get their hands on a brand new iPhone. If you are even more lucky, you may even be able to go out and buy one! Update: partner site ipodpalace.com reports on the very first iPhone disassembly done by iFixit.com guys! Apple has announced the release date of its upcoming iPhone mobile device in the US in a series of ads which began airing on Sunday. The three ads have also been posted on Apple’s own website. The iPhone was first unveiled in January by company CEO Steve Jobs, and has since been one of the most talked about, and sought after, gadgets of the year. Drawing both critiques and accolades even before it has been released to the public, the only thing that everybody seems to be agreeing on is that they would like one! Featuring a 3.5-inch multi-touch display, the device is a widescreen iPod, a quad-band GSM phone with a 2-megapixel camera, and an internet browsing powerhouse thanks to the full-size Safari browser and underlying OS X operating system. Further communication possibilities are opened by the phone’s Wi-Fi, Bluetooth and EDGE data transfer capabilities. Two models will be available on the launch date of June 29: a 4GB one priced at $499 and a 8GB version priced at $599. According to the ads sales are subject to 2 years plan subscriptions with AT&T. Next up was Jonathan Ferman, Business Development Manager, Media & Publishing for Adobe, going through some of the new features of the main applications in CS3. He started off with Bridge, Adobe’s asset management program, which managed to first draw blanks from the audience (a show of hands revealed that although all of the attendees used CS2 or at least a few of its programs, none used Bridge for asset management) and then chuckles when Ferman showed its “completely reworked and improved UI”: everything from functionality to colour scheme seems to have been lifted from Apple’s Aperture (down to the 100% magnification function, a square called Zoom in Bridge, more than reminiscent of the circular Loupe in Aperture). Inside Bridge are some new collaborative features like Version Cue, offering built-in support for workgroups and check-in and check-out functionality when multiple people are working on the same file/project, and Acrobat Connect, a flash-based mini-app that allows onscreen meetings and classes with remote assets-sharing capabilities. Photoshop sports faster startup times and a reworked UI. Palettes have now been renamed Panels, and have been made more fluid and easily customizable. Panels work in a way that is similar to browser tabs, movable and switchable around the workspace, and new tools/name/icon views allow saving screen real estate to concentrate on the image and minimize the pixels taken over by the tool switches. A very cool feature is the quick selection tool, an improvement on the lasso tool to cut out elements of an image with stunning precision. The new tool takes into account not only edges, but also colour and even texture: and if that’s still not precise enough for you, a Refine Edge tool brings you into the finest details like hair and fabrics. The ease of use of this features was quite impressive. Perhaps the most interesting feature of all was the auto align pictures: you can now select a bunch of similar pictures, and PS will align them for you based on content, layering them in an onion skin fashion, and allow users to choose the best exposure by deleting or bringing parts of the layers to the front. Stitching panoramas with auto exposure correction via auto blending is also possible, all at a click of one button. 3D and video/audio are now supported, and fully editable, inside PhotoShop. 3D layers, wireframe views, lighting effects, frame by frame editing, music scoring, all in one place and with tight integration with the other programs of the Suite. Dreamweaver is one of the Macromedia applications Adobe is bundling in CS3, and is now fully compatible and integrated with Photoshop. It boasts even better tools to check browser compatibility issues (offering solutions through a community-driven website) and CSS stylesheet manipulation, with presets for outputting the same content for web, print, and mobile devices alike. In particular, users are able to preview how their work will look on different handeld decives through Device Central, a fully featured emulator with a list of the latest phones from the main manufacturers (which Adobe promises to update regularly). From screen size to processor simulation, no detail is left off to replicate the user experience on different devices. And developing for different platforms is just a matter of clicking a button, Dreamweaver will do it automatically for you, adapting the content to your choice of device. The Haier Elegance is a “lipstick case-sized” luxury GSM mobile phone which boasts the “smallest GSM phone with integrated mp3 player” tag. 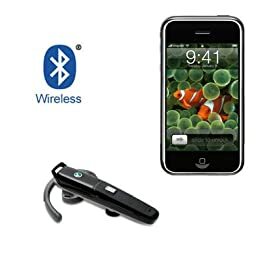 It measures a mere 9.1 x 3.5 x 1.8cm (3.5 inches long), sporting a black pearl reflective finish, built-in mp3 player with up to 1.128GB of space (through optional microSD card adding to the 128MB of space included), FM Stereo tuner, Voice Recorder, Photo viewer, stereo BlueTooth transmitter and full color OLED display. The diminutive phone promises 3 hours of talktime and 11 hours of music playback, not bad for a gadget people will buy for its looks and sleek design more than its practicality. It is available in US dual band technology or European tri-band to conform to the different GSM standards and is ready for purchase worldwide through Haier’s online shop. “Where do we go now?”sang Axl Rose some years ago. These days, GPS navigators have gone from being a fancy accessory to essential gadgets in every driver’s car, whether in portable form or integrated in the dashboard, helping people get to their chosen destination with minimum fuss. Recently some new models have hit the market, together with updates to the software driving these smart devices, so SourceCrowd is presenting you with a small roundup of the latest developments: hopefully you’ll never lose your way again! Without much fanfare, Palm has dropped the price of its newest GPS Navigator kit . The kit has seen a $50 price drop from the original $300 launch price to $250. Sweetening the deal even more is a $50 mail-in rebate that Palm is offering to customers who purchase the bundle from Palm.com. With an effective final price of just $200, this makes Palm’s self-branded GPS solution a surprisingly strong value in the fiercely competitive mobile GPS solution market. The GPS Navigator 3 package is a relatively new offering from Palm, having been introduced in February 2007. The GPS Navigator 3 debuted at a $300 price but Palm has almost always offered a $50 mail-in rebate on their GPS kits. The kit is compatible with the full range of Treos released over the pat few years—650, 680, 700p, 700w/wx, and 750. The latest 6.03 version of the superb TomTom Navigator 6 software is bundled in this package on a pre-loaded 1GB miniSD card with full size SD adapter. TomTom announced the Tom Tom ONE XL Portable Extra-wide Screen GPS Navigation System with a 4.3-inch touch screen. According to TomTom, the large screen gives drivers a better overview of the road ahead by displaying more streets and information. The device provides turn-by-turn direction in 36 languages with 55 different voices to choose from. The TomTom ONE XL also offers a points-of-interest data base that includes hotels, restaurants, gas stations and museums. The Tom Tom ONE XL Portable Extra-wide Screen GPS Navigation System has access to up to date traffic information using an RDS-TMC Trafic Receiver accessory or a subscription to TomTom Traffic. The TomTom One XL includes free QuickGPSfix software, which features the latest maps and fast route calculation. Drivers will also have access to all TomTom PLUS services including safety camera alerts, real-time traffic and weather reports, updates on road conditions and the TomTom Buddies feature. TomTom HOME service is also served up with the ONE XL, which is a free software application that lets users manage, download, store and transfer content from their computer onto their TomTom GPS device. Drivers can use TomTom HOME to plan trip routes, download voices, obtain traffic reports and install maps to keep their TomTom up to date at anytime. The TomTom One XL will be available in the U.S., Europe, Australia and South Africa by May 2007 and will retail for $400. Last but not least, Mobilkom austria and Wayfinder announced the launch of the most powerful and easy to use Navigation solution, A1 NAVI, on the Nokia N95 Unlocked Quadband GSM HSDPA 5MP Camera Cell Phone with built-in GPS . The latest version of A1 NAVI, which is based on Wayfinder Navigator 7 comes equipped with top of the line map 3D map experience, Wayfinder Power Search (patent pending technology) that enables the users to search in many databases simultaneously, night mode that adapts the color and light strength of the screen and other user friendly services that will greatly enhance the user experience. The offering is bundled into a fixed price per month including unlimited usage of the attractively priced service. “At Wayfinder we are excited about the introduction of phones with built-in GPS which will greatly simplify the user experience of phone based navigation. It is also becoming more common that operators choose to pre-install our services on phones with built-in GPS”, says Magnus Nilsson, CEO Wayfinder Systems AB. A1 NAVI will be available on Nokia N95 in June 2007. Wayfinder Navigator 7 will also be available on Nokia’s E90 phones with built-in GPS from the Communicator series. You are currently browsing the archives for the Mobile Phones category.